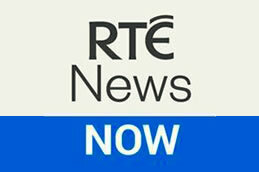 In a letter to the Chairperson of the Joint Committee on Communications, Climate Action and Environment, Hildegarde Naughton, Deirdre Forbes outline the continued availability of RTÉ News Now until a decision had been made by the Minister for Communications. At a meeting with the Joint Oireachtas Public Accounts Committee Dee Fordes announced that an application had gone to the Department to get permission to provide RTÉ2 +1. RTÉ, the BAI and the Department have all been contacted for comment.